The United States’ Civil War came to Florida, as well as much of the eastern half of the country. However, much of the “action” came in the form of blockades of ports and the capture of important salt works, there were few actual “battles”. Before that bloody war, Florida experienced the removal of Native Americans in two wars, the First and Second Seminole Indian Wars. 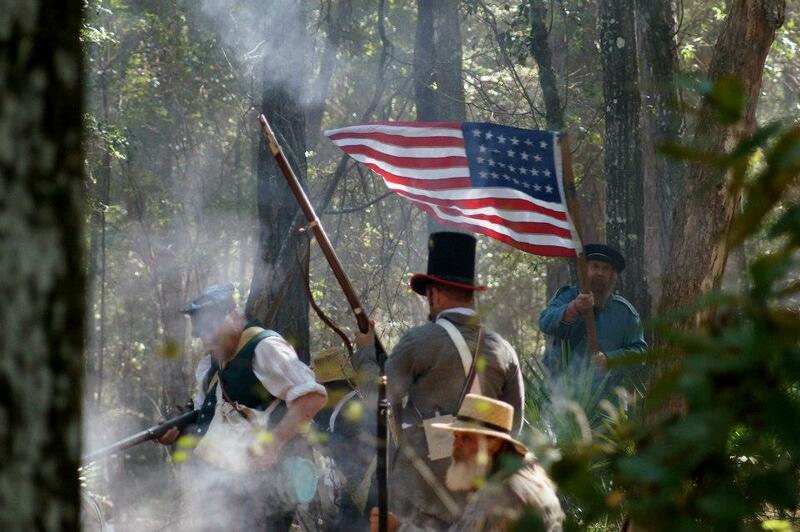 A couple of the battles in North Florida have attracted reenactors as well as hordes of visitors. Two, of note in the Columbia County/Lake City (originally called “Alligator”) area were at San Felasco Hammock (1836, 2nd Seminole Indian War) and Olustee/Ocean Pond (1864, Civil War). And both have “festivals” and events to celebrate that local history. The 2016 AlligatorFest, to be held October 14-16, at O’Leno State Park on the Santa Fe River in southern Columbia County, promises to be of historical interest to visitors. 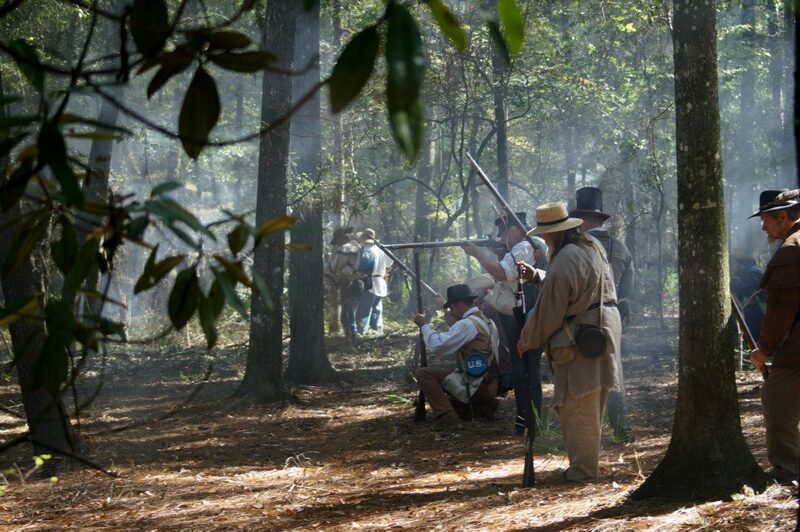 Reenactors will stage a mock battle, some dressed as civilian soldiers; others as Seminoles. 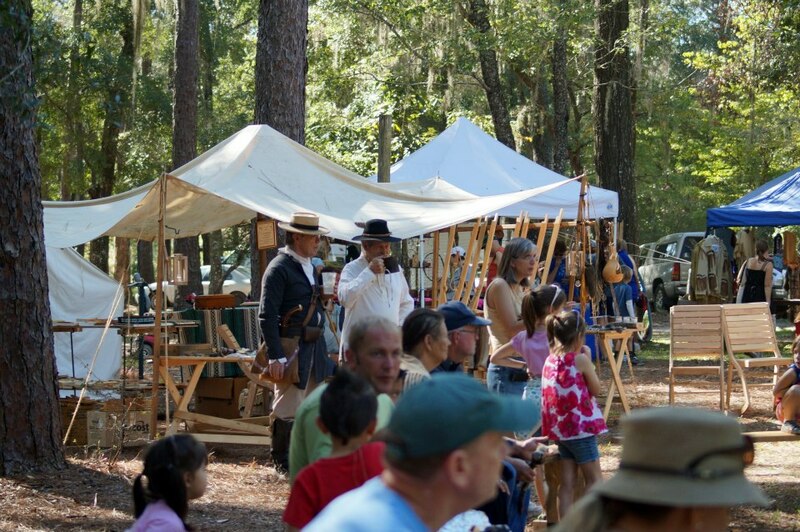 In addition to the battlefield action (on Saturday and Sunday), the festival will feature camp and home life displays focusing on the first half of the 19th century in North Florida. There will be demonstrations, with a chance for attendees to learn about the rich history of the area and its immigrant settlers and native inhabitants. There will also be plenty of food, demonstrations of trades and of course, music and dancing!